Drugs are substances that bring about changes in the functioning of cells in the human body. There are various kinds of drugs, such as opium, heroin, cocaine, hashish, bhang, etc. Some drugs act as a stimulant and some act as depressants. Due to this, functions of heart, lungs, liver, intestines, kidneys, eyes and other body organs are debilitated. Drug abuse is a serious problem. It is both an individual and a social problem. It is usually found in teenagers. Many school students are habituated to the drug. Some sportsmen also take drugs. Drug trafficking has become a prosperous international trade. The drug is mostly taken for pleasure. Some teenagers take drugs due to peer pressure and curiosity. Some people become hopeless about their failure and start taking drugs. Some people are confronted with life due to failure and so they begin using drugs. But traffickers are the greatest culprit. In order to make money, they trap the young people. Not getting love, affection from parents, community etc. Develop strong will power to say no to drug and avoid including drug user in your friend circle. Drug trafficking must be strictly controlled. The good family relationship should be maintained. During leisure, one should get involve in recreational activities. Law and regulations on drugs should be enforced strictly. Drugs are substances that bring about changes in the functioning of cells in the human body. There are various kinds of drugs, such as opium, heroin, cocaine, hashish, bhang, etc. Drug abuse is serious problem. Drug trafficking has become a prosperous international trade. Drug is mostly taken for pleasure. Write, in brief, two effects of drugs in the nation and society each of them. Any unnatural chemical substance used for abnormal effects in the body is termed as drugs. Young and productive human resource are found more attracted towards drugs. So, it affects in the national economy as they remain improductive. The health of drug abusers deteriorates. Deteriorated health can't contribute to national development. Family prestige decreases due to the presence of drug abuser in the family. The society from a chaotic situation all the time. The earning of the family concentrates on treating members who use drugs in the family. So, the progress of the family interrupts for other members also. Which age group of people is most affected by drug addiction? 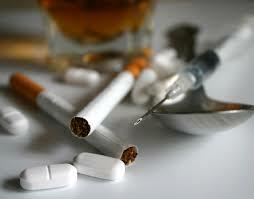 Youths are mostly affected by drug addiction. What should be done to control drug trafficking? Suggest any six measures. Awareness programmes should be conducted to control drug trafficking. Farmers tending to cultivate crops like hemp, poppy should be encouraged with a subsidiary to cultivate food. Strict laws should be made and their effective implementation should be ensured. Border areas should be watched very strictly. Skilled development training should be given to the vulnerable people and employment opportunities should be provided to them. Any substance which affect body and mind is called ______. Which of the following is not a drug? Doctors use drugs to ______. Those people who take drugs habitually are called ______. Taking drugs as intoxicants is called ______. Which one of them is not a effect of drug? Any Questions on 'Drug abuse '?